What’s the one thing you can’t live without in the heat of summer in Detroit? Is air conditioning the first thing that comes to mind? Although we take our air conditioning for granted most of the time, we certainly do notice it when it’s broken. 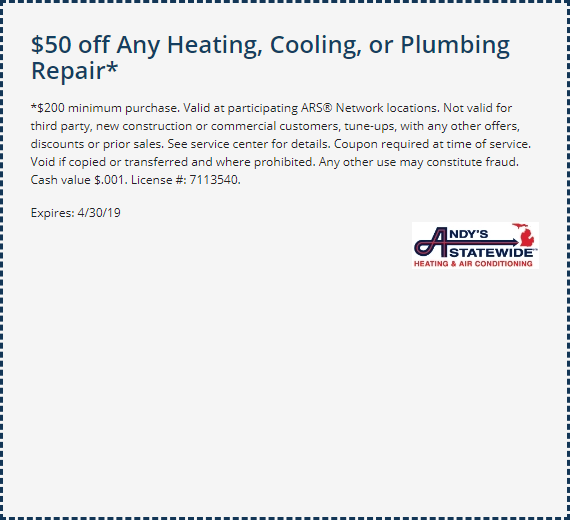 Thankfully, the highly trained and knowledgeable technicians at Andy’s Statewide have been helping Michigan homeowners with their air conditioning needs in Detroit, Ann Arbor, Troy, and the surrounding communities for several years. At Andy’s Statewide, our goal is to provide you with the highest in quality systems and services. We cover a variety of HVAC systems and equipment including compressors (for outside units), air handlers and evaporator coils (for indoor systems), heat pump systems, and other cooling and home comfort systems. We know all the ins and outs of troubleshooting, parts replacement, and system maintenance. And if it’s a new unit you need, we can help design an air conditioning system that is right for your family and your home, install it, and keep it in good repair. Extended warranties on parts, labor, and equipment. So the next time you find yourself in need of quality AC service in Detroit, why not call Andy’s Statewide? Let our air conditioning experts show you the difference between good and exceptional.